Intro: I've used this tent on several occasions now and I'm very pleased with it. So far I have not had the opportunity to put it to the test in a thunderstorm (thankfully), but it has weathered everything from sunny and warm to below frezing and winds with gusts to 40mph. I have to make a disclaimer on this winds, we were in the trees, but it still got a pretty good beating. Details: I found out about Paria purely by accident about a year ago. 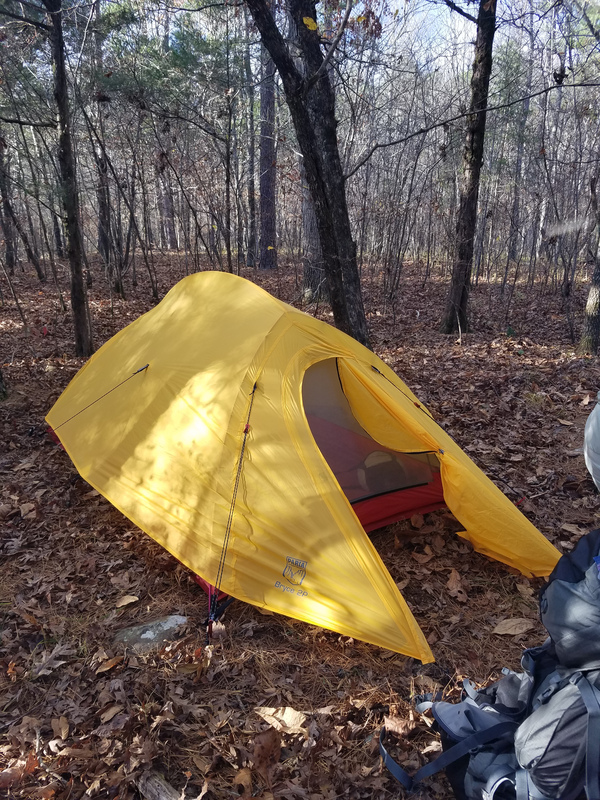 I was shopping for a light weight tent to replace my Eureka Timberline for solo hikes and also for a sleeping bag to replace my existing cold weather bag. Paria popped up and the pricing was too good to be true. I haven't had much luck with tents in the $150 range. They have always been cheaply made or way too heavy if not both. I was comparing this tent to a few models from Big Agnes and MSR. In all my comparisons, the Bryce 2P seems to take on its $350+ competitors head on. Comparing it to the Big Agnes Fly Creek, it is taller at the feet and the Bryce 2P comes with the footprint, unlike the Fly Creek. Comparing their weight is a little difficult since I don't have access to the Fly Creek. The Bryce 2P comes in with a shipping weight of 4 lbs 6 oz (that even includes the box! ), and an advertised trail weight of 3 lbs 7 oz. For me this translates to a weight in my pack with poles, footprint, storage bag and stakes of 4lb 7oz. Price difference between the two is also dramatic with the Fly Creek coming in at over $500. As for the MSR Hubba Hubba, the price of the Bryce is still half and it weighs almost exactly the same. The Hubba Hubba is probably a little more comfortable due to the double door design, but Paria has apparently recognized this and has now released what appears to be a direct competitor called the Zion 2P. On the trips where I have used the Bryce, I have not been disappointed. Setting up the tent is easily accomplished by 1 person, even in the wind. The best way I've found so far is to first stake out the footprint then lay the tent on top, connecting the corner loops to the stakes as you go. Doing this prevents the super light tent from blowing away or folding up on itself in the wind. Next straighten the poles and insert one tip in each corner. The corners have the usual grommets and the tips will pass through both the grommet on the tent and the footprint. 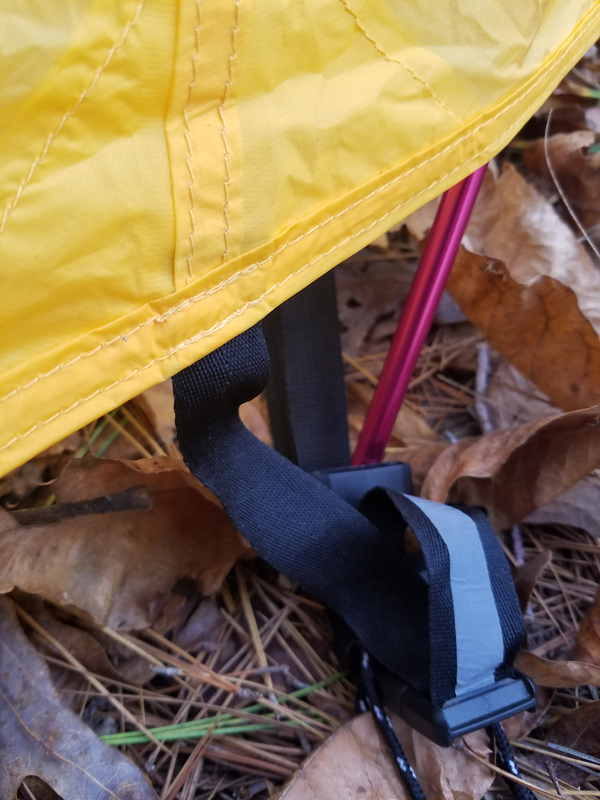 After the pole is in the grommets it will be bent up into the shape of the tent and the hooks on the tent itself will easily clip right on. At this point you are done unless you want to also setup the fly. If so, just toss the fly over the tent and snap the corners into the footprint clips. There are guy lines and loops for staking out the fly. I've found that the two on the front of the fly near ridge are pretty much not needed, except maybe in the strongest winds. Once the tent is setup, there is plenty of ventalation, even with the fly. I was a little worried that there would be too much ventalation since the sides of the fly are about 6 inches from the ground all the way around the tent. So far the coldest night I have used the tent it got down to about 22 F, but between this tent and my Paria Thermodown 15 sleeping bag, I stayed toasty. There are a few issues which have me a little concerned, but so far have not been a problem. 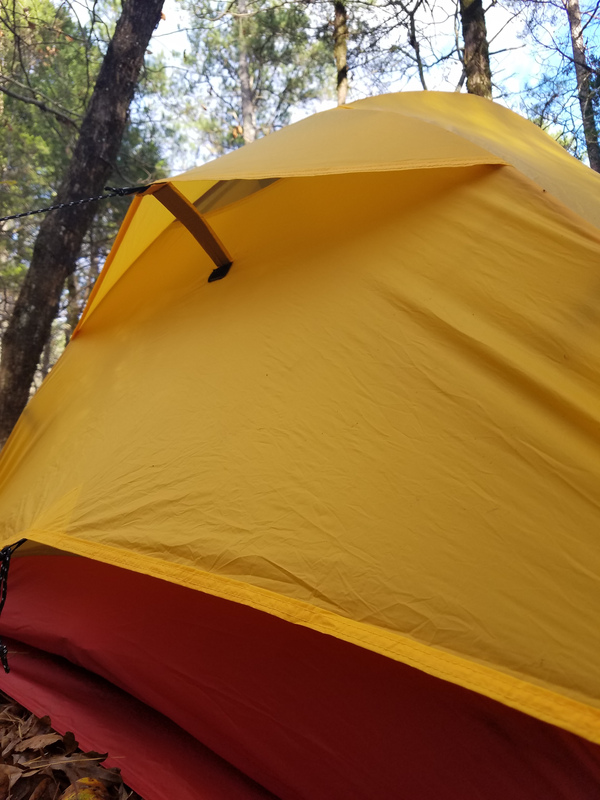 First issue is that the seams where the pole hooks attach to the tent appear to be really stressing the mesh and will probably become a weak point. 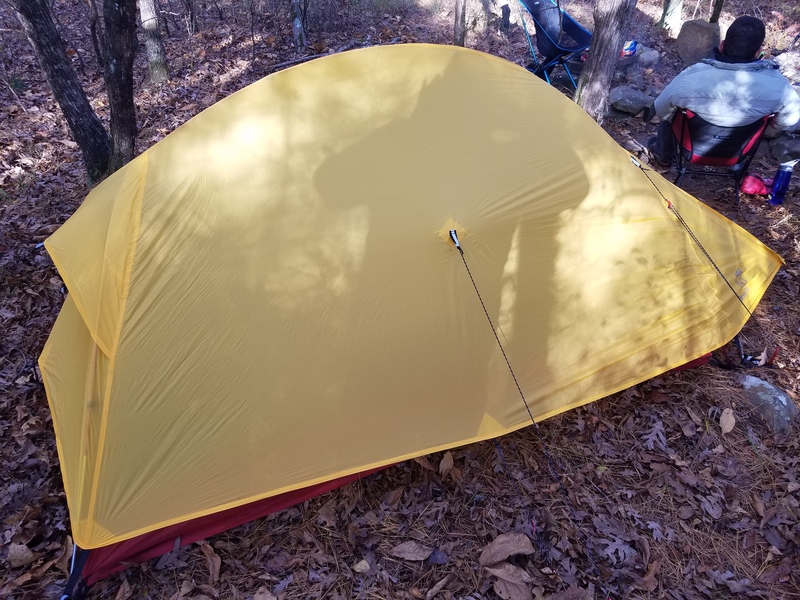 I do not think they are any worse than other super light tents, but I will just have to see with time and use. Another small concern is where the fly straps connect to the footprint. the straps pass through buckles like are used on pretty much all types of bags. You pull the loose end of the strap and it will tighten due to the friction caused by the little cam. I have noticed that these may be a little to big or the strap may just be really slick, but they loosen up really easily. I can see this becoming an issue if it is really windy and raining as the fly might flop and let water in. However, so far it has just been more of something that I'm worried will happen, not something that has caused an issue.